/ / Weight 240 lbs./109 kg. When an insurgent sneak attack in Afghanistan’s Kandahar Province threatened to eliminate his entire platoon, Army First Lieutenant Carter Williams acted. Executing a daring maneuver, Carter directed his own vehicle to shield his troops from enemy fire as they were pursued through the village of Hidad. He saved sixteen lives and held off the enemy until rescue. But Carter, like many of the men and women in his command, did not leave unscathed: a rocket-propelled grenade left him grievously wounded, and led to his honorable discharge. For his service, Carter was promoted to Captain, and awarded the Distinguished Service Cross. Williams returned to American soil a bona fide war hero. But he returned with substantial nerve damage, and felt far from heroic. Like many of his fellow soldiers, Carter would never fight again. Now his fight was getting out from bed every morning, or writing a check. Dr. Jasper Helm, an ambitious, struggling inventor, was likewise without options. His latest and greatest achievement, the ATHENA, an allegedly invincible suit of powered armor, had been repeatedly ignored by defense contractors. To make his mark on the world, Dr. Helm resorted to more extreme measures: he wouldn't just create armor, he would create a superhero. It would be the ultimate test of the ATHENA’s capabilities. Helm sought a volunteer, and found Carter Williams. Initially, Carter was hesitant. What place did a wounded war veteran have next to the likes of Defender or Thundrax? Yet he could not ignore the potential: the ATHENA would allow Carter to move like he used to, and fight for his country once again. Additionally, Helm promised Carter the freedom to plan his own missions. Duty was calling, so Carter answered. Star-spangled and sealed within Dr. Helm’s experimental marvel, Carter became Captain Adamant, the “Unbreakable Man”. He pursues a new kind of service to his fellow man, delving into the strange and spectacular world of the superhero. He marches ever forward, ready to plant himself firmly in harm’s way for the betterment of humanity. Only this time, he's bulletproof. Captain Adamant towers over most men and women by a foot, and walks with heavy, metallic footsteps. Subtle, wavy patterns weave through the armor’s metal plates, which gleam faintly under direct light. The eyes of Helm’s invention shine with a white radiance, as does the five-pointed star in the armor’s chest piece. Beneath the armor is a tall, fair skinned man in his late twenties who maintains his brown hair in a short, “high and tight” style. He possesses dark brown eyes, and a defined, square jawline, which is always clean shaven. He boasts well-defined muscles and excellent posture, and speaks with a rumbling baritone voice. Throughout the right side of his body, former shrapnel wounds pepper and criss-cross his figure, while past burns darken Carter’s skin in mottled, warped patches. Luckily, Carter’s face escaped most the damage, sporting only a couple major shrapnel marks that interrupt his bottom lip and eyebrow. Under close inspection, a few spots on the right half of Carter’s face are marred by discoloration. His outfits are frequently gray or green button-up shirts tucked into a pair of jeans. Regardless of the weather, he almost always elects to roll his sleeves up, and laces up in thick-sole work boots. Carter rarely accessorizes beyond a wristwatch, a single Adamantine ring, and the occasional pair of sunglasses. Captain Adamant is a hard working member of the superhero community, eschewing frivolous pursuits for productive and practical ones. Carter approaches wearing the ATHENA as he would an assignment in the Army: with the utmost dedication. Objectives should be pursued with diligence, and orders ought to be obeyed. Donning the armor is no raucous adventure, nor is it some lofty, poetic pursuit. To him, it is as solemn a duty as being a soldier. Carter wishes everyone in the superhero community shared this view. 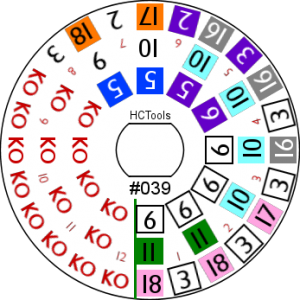 In both his personal and professional life, Carter approaches problems with a level head. He isn’t one to let emotions get in the way of achieving an objective. “Where there’s a will, there’s a way” is among Carter’s favorite aphorisms, and Captain Adamant is quick to remind his allies. Whether leading or following, the Unbreakable Man is a constant source of motivation, though some are not receptive to his matter-of-fact approach. But Carter believes there is a time and place for everything and everyone, such that many are shocked when the hero is off-duty. He can be rather pleasant in social situations, and is always polite. He never fully sheds the air of seriousness, however, and it returns in force when facing rude, lazy, or unethical people in conversation. No matter the context, Carter isn’t one to open up about himself, or his feelings. / / Enhanced Durability The Advanced Threat Encounter Apparatus, or ATHENA can withstand up to fifty tons of TNT-equivalent force, and temperatures in excess of two-thousand degrees Kelvin. Captain Adamant is effectively immune to worldly weapons, most forms of radiation, and intense impact forces. / / Super Strength Layers of piezoelectric cells within the ATHENA’s underlay amplify force by a factor of almost forty. This allows Adamant to carry over one-thousand kilograms of armor almost without hindrance, and lift a further eleven metric tons. / / Enhanced Movement Integrated Rocket Platforms (IRPs) in the greaves of the ATHENA allow short bursts of travel along two-hundred meter arcs. They’re perfect for escape, or closing distance swiftly with the enemy. / / Enhanced Vision The ATHENA’s visual enhancement settings include infrared night vision, image capture, and video playback. A minimal heads-up-display feeds Carter data on his biometrics, the state of his armor, and environmental readings like temperature or distance. In addition, the armor’s eyes and star-spangled chest piece can act as spotlights, and even strobe at high intensities for non-lethal light attacks that disorient and nauseate his foes. / / Enhanced Communications Captain Adamant’s helmet provides him with reliable radio capability and telephone communications. / / Hardened Technology Because of minimalist computerware with no wireless connectivity, the ATHENA is immune to cyberwarfare of any kind. Its power source is a simple atomic battery, and there are fewer moving parts than other powered armor designs. These low-tech approaches make Captain Adamant robust beyond being bulletproof. / / Physical Fitness Carter has achieved almost Olympic-level fitness by strenuous exercise and a heavy duty diet. He accomplished this despite his injuries. / / Military Training Through the shaping touch of drills and studies, Carter has acquired skills in war strategy, battlefield tactics, wilderness survival, marksmanship, and hand-to-hand combat. / / Iron Will Perhaps the hero’s foremost asset is a simple unwillingness to break under pressure. No matter how exhausting, no matter the emotional peril, Carter pursues his objectives without hesitation. Carter is particularly resistant to mind-control for this reason, though he has no formal training against it. / / Prototype Advanced Threat Encounter Apparatus The ATHENA in its prototype phase was relatively crude. The ATHENA began without its Integrated Rocket Boosters, and though its underlayer was designed to fit a range of body sizes, the armor plating restricted Carter's movement considerably. Furthermore, the prototype's helmet lacked a heads-up-display, relying instead on analog visual and audio signals to convey information. 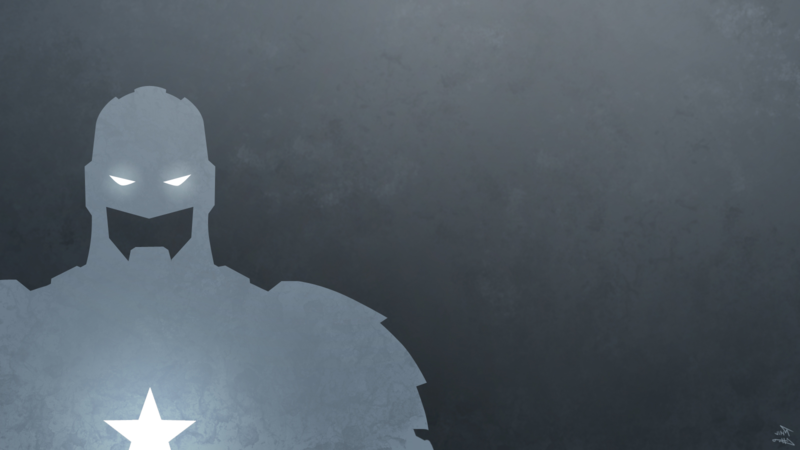 Captain Adamant's iconic "white star" emblem began as a spray-painted stencil on the armor's chest. But the prototype ended up being Dr. Helm's proof of concept, protecting Carter, as well as innocent lives in Captain Adamant's earliest missions. Once retired from use, the prototype was secured and displayed in the Anvil, setting a precedent for later versions. / / ATHENA Mk. I The Mark I was designed specifically with Carter in mind. It fit perfectly his height and build, and its network of Adamantine plates moved for effectively with one another allowing Captain Adamant a wider range of motion. However, the design left the ATHENA’s back more lightly armored. The Mark I introduced a digital HUD for the tracking of suit integrity and biometrics. The suit's helmet also boasted nightvision. All told, the armor took twenty-five minutes to assemble and run required diagnostics. / / ATHENA Mk. II Dr. Helm further refined the suit by shaping its plates for better movement, faster assembly (sixteen minutes), and better protection from all angles of attack. The armor's emblem was integrated as a power indicator on Captain Adamant's chest. Alongside the ATHENA’s eyes, this could act as a spotlight. The storage capacity of the armor was increased, and the compartment at the armor's back came complete with a specially designed tablet computer that could withstand Captain Adamant's grip. But the greatest improvement on the Mark I lay in the introduction of Integrated Rocket Platforms. As part of the ATHENA’s boots, the IRPs allowed for enhanced mobility. / / ATHENA Mk. III The current and most advanced version of Captain Adamant's armor, the Mark III boasted greater IRP fuel capacity, an assembly time of seven minutes, and a prototype "Shock Sink". This system improved the ability of the ATHENA to absorb kinetic energy by piggy-backing on the suit's layer of piezoelectric cells. Part of any force applied to Captain Adamant is transmitted into electricity, and stored in a backup power cell. The Mark III is also the first model of which there several ATHENA suits existing in parallel. Now that the Anvil crew is able, one suit exists as a back-up, and three more exist with camouflage options. These are tailored for arctic, desert, and jungle/forest environments. / / ATHENA Mk. IV In the words of Dr. Helm, “Progress is like a river. At times it will flood and spill over, but on most days it simply flows on, steady and peaceful.” The Mark IV incorporates all the Mark III’s new functionality, while adding a brand new Emergency Egress Detonation feature. The EED allows Carter to escape compromising situations by rapidly removing his armor. Removing the ATHENA is normally a methodical process, but the EED removes the fastening by way of carefully timed and precisely shaped microcharges. The process is dangerous for both Carter and anyone nearby, but it provides a last resort means of escape. The Mark IV also boasts a more capable and versatile Heads-Up-Display and visual package, and a much needed splash of blue color, albeit a restrained one. / / The Anvil By outward appearances, Captain Adamant’s base of operations is a medium-sized dockside warehouse, with solar panels on the roof and little-to-no shipping traffic, at least compared to its busy neighbors. Within are dozens of nondescript shipping containers and crates, stacked to the ceiling. Beneath this modest warehouse, nearly three stories down, is a state-of-the-art facility, carefully carved into the bedrock of Millennium City. The Anvil is named for its primary purpose: the construction and assembly of the ATHENA armor. It also acts as a command center for Captain Adamant’s crimefighting operations, a general armory, and weapons testing facility. Powered by a small-scale nuclear reactor and supplemented by solar and tidal power, the Anvil is almost entirely self-sufficient, though its denizens order take-out food more often than not. Adamant's HQ possesses emergency exits into the Detroit River, the Westside sewer system, and the surface itself. / / Carter's Apartment Carter’s home is a renovated and restored early 20th century warehouse in western City Center. A penthouse suite with brick walls, a loft configuration, and a modern interior design, the apartment is a step up from the farmhouse Carter grew up in. The apartment has a spacious master bedroom and master bathroom, a walk-in closet, a sizeable guest bedroom, and an open floorplan from the kitchen, dining room, living room, and office. The balcony sports a built-in jacuzzi and plenty of patio space. Hidden within the walls of Carter's office is a small armory, containing a suit of Captain Adamant’s armor, a few firearms, and a private server for communication with the Protectors, UNTIL, PRIMUS, and other authorities. / / The Williams Ranch The business and home of the Williams family for four generations ranged, at its height, over five-hundred acres, and was complete with a two story house, a barn and multiple grazing fields. The Williams’ employed multiple ranch-hands, and every member of the family was expected to take care of some piece of the business. Unfortunately, the decline of privately-owned cattle ranches did not skip over the Williams’ family, and competition forced them to sell to a corporate company. / / Only Human Aside from his exceptional fitness and determination, Carter Williams is ultimately a mortal man, and will succumb to the same trauma and ills that any other normal human would. / / Nerve Damage The ATHENA restores Carter’s full range of motor control, but his injuries’ other symptoms still manifest on occasion. These include numbness, tingling, tremors, sporadic pain, headache, and acute hearing loss in the right ear. / / Damage Threshold The plates of the ATHENA will eventually deform and deteriorate after taking heavy damage. Failing to replace damaged plates can result in weak spots in the armor, a limited range of motion, and a loss of balance due to uneven weight distribution. / / Heavyweight Because of his armor’s incredible weight, Captain Adamant must employ caution near deep water, unsound structures, and treacherous terrain. Such areas can immobilize or trap the Unbreakable Man, especially if his IRPs are non-functioning. He must also be diligent in controlling the armor’s momentum; Captain Adamant is dangerous to both enemies and allies while moving at high speed. / / Delicate Matters Operating delicate or intricate devices poses a challenge for Captain Adamant. Most computers’ keyboards would be pulverized without a level of focus on Carter’s part, and a sloppy handshake could become a journey to the emergency room. The hero considers it a small victory when he can enjoy coffee on-duty. / / Lightning Rod When subjected to a powerful enough current, Captain Adamant can become a hazard to those around him, as he becomes a carrier for that dangerous electricity. The armor reacts in a similar fashion to magnetic fields. A strong enough magnet could be used to immobilize or manipulate the Captain’s armor. Sufficient electromagnetic interaction can also damage the armor at the molecular level. / / Assembly Time Though the ATHENA assembly process has been refined since its prototype phase, the armor still requires precious minutes of automated service and diagnostics before Captain Adamant can be considered combat ready. Carter is vulnerable and immobilized during the procedure and any attempt to rush or tamper with the ATHENA’s assembly can affect Adamant's range of motion, balance, and armor integrity. / / Unbreakable Methods Carter can have difficulty adapting to the unpredictable and bizarre battlefield of metahumans because of his military background, and isn’t easily swayed from mission objectives. These qualities sometimes drive a wedge between Captain Adamant and his teammates. They also serve as weak points, about which cunning enemies can out-maneuver or manipulate Carter. / / Workaholic Carter’s dedication and need to preserve order can lead to long hours, both in and out of his armor. Despite great mental and physical endurance, when fatigue sets in, it threatens his focus on the battlefield and even aggravates his injuries. / / Dr. Helm Dr. Jasper Helm is one of the world's foremost authorities on metallurgy, a certified genius, gifted inventor, and scientific pariah. Known throughout scientific circles as one of the few remaining stalwarts of the "basic sciences", the MIT grad has also come under fire for espousing other "outdated" or "impractical" notions. Dr. Helm believes that modern science has persecuted any influence of art, craft, or intuition, and is a weaker discipline for it. He also criticizes some of his peers for being led "by the carrot and stick of the trendy and the wealthy", rather than knowledge and human achievement. Jasper's father built a fortune in foreign investments and a modest but profitable mining company. The decision to pursue science instead of the family business did not endear Helm to his father. But nevertheless, a trust was established in his name, and Helm Sr. funded his son's experiments. In addition to attending the Massachusetts Institute of Technology, Jasper trained as a blacksmith, welder, and machinist. When he was only twenty, Helm designed the rudiments of the ATHENA, what he believed would become his magnum opus. A marvel of simplicity, a loving marriage of ancient and modern techniques, Dr. Helm's armor would protect soldiers, deep sea divers, and space explorers alike. Yet, his designs were constantly rejected by contractors and investors. So it was that Dr. Helm turned to financing and developing his ideas with his own resources. While he takes pride in forging his own destiny, the Anvil and its operations are incredibly expensive. His trust money may not be enough to keep it alive. The decision to utilize the ATHENA in the creation of a superhero was not made lightly, but Dr. Helm believes it will do the most good, and finally prove to the world the efficacy of his ideas. Though wary and at times, weary, of one another, Jasper and Carter have developed a strong partnership over the years. Dr. 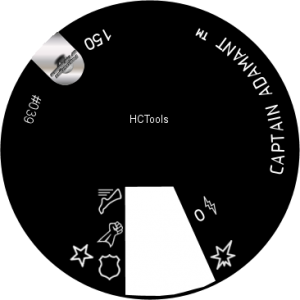 Helm supports Captain Adamant by maintaining and improving the ATHENA, funding operations, and acting as his scientific adviser. / / HAMR The Heavy Assembly and Machinist Robot is Dr. Jasper Helm's uniquely designed automated intelligence. Some might find HAMR to be less refined than other robots in existence, but Helm designed “him” to be exactly what he needed: robust and versatile. The robot is a hulking, bulky thing, with barely a “face” to speak of, though it does possess a photosensor and vocalizer to communicate with its human benefactors. It’s arms are built to accept modular components and tools, ranging from power drills, cutting lasers, robotic hands, and even actual hammers. As an added challenge, Dr. Helm programmed HAMR with a simple language of Morse-code like beeps and warbles. HAMR also exhibits a constant surly personality. Communication with the robot, unless you’re Dr. Helm, can be a chore, but the robot is ultimately built and apparently happy to serve as smith, maintenance man, and if necessary, security. / / Imp The Irrepressible Imp was once a fellow member of the Protectors, and it was on the team that Captain Adamant and her first met. The two eventually found a deep, mutual attraction with Carter's no-nonsense attitude being balanced by Imp's more spunky presence. They dated for two years, even after Imp left the Protectors and began going to school, and the two eventually moved in together. But their professional and personal lives were difficult to reconcile, and Carter chose his career over romance in the end, ending their relationship. / / Sparrowhawk Though her methods are at times more cloak-and-dagger than Carter is used to, he finds Sparrowhawk to be a refreshing presence in the crimefighting world. She is a consummate professional, a skilled combatant, and a driven leader. These are all qualities Carter values highly, and to be on a team led by someone of Sparrowhawk’s caliber means a lot to him. / / Tesseract One of Carter’s fastest friends within the ranks of the Protectors, Imani Abbot’s passion and care for the profession endeared her to him, not to mention her sheer ability to control the conditions of battle with her powers. While the two come from quite different walks of life, and stand to disagree on more than a few issues, political and otherwise, Carter and Imani have forged a trust and understanding in combat and out. / / Thundrax Though Carter was never one to idolize superheroes, there is an almost reflexive sense of awe and respect in him when it comes to Thundrax. Even before they met, Carter wasn’t ignorant of the hero’s many accomplishments. As a patriot himself, he also respects Thundrax’s service and love of country. Though wary of the man’s incredible powers, Captain Adamant secretly observes Thundrax as a role model of sorts, as the Unbreakable Man bridges the gap between “soldier” and “superhero”. / / Wheelman Captain Adamant and Wheelman were once members of Eternals Incorporated. Though their experience together was limited, they kept in touch after resigning from the superteam for other opportunities. Their relationship is that of friendly colleagues, occasionally reminiscing of their days in the Eternals. Carter assisted Wheelman in announcing his new team, COMPASS, when they first formed, and helped bring COMPASS and the Protectors together as friends and allies. "CPT Williams... I was in Afganistan on my first deployment overseas when his unit got ambushed. What he did definitely puts him in my good books, even if Craig told me he might not get my kind of humour. " | A.L.I.C.E. ARGENT is notorious for its crimes, including illegal scientific research, sponsoring goverment coups, and corporate espionage. It is perhaps more nefarious for its ability to dodge culpability in these crimes, using the letter of the law and media manipulation to stay solvent and profitable. Captain Adamant has run afoul of ARGENT in their attempts to acquire illegal weapons technology, and varied attempts to steal the secrets of the ATHENA armor itself. He considers them a despicable organization who abuses their liberty to feed their hunger for power and wealth. Hopefully, one day, they will make a mistake that they can't lie their way out of. On its face, Frost International and its holdings seem innocuous, even benevolent. Its technology, based entirely on a proprietary freezing agent, has many applications. While it started as a "Life Extension" foundation, which aimed to preserve terminally ill or injured people until they could be revived and cured, one of its current endeavors involves weapons. Naturally any new defense contractor on the market bears investigating, especially when their weapons are as potent as Frost Dynamics (a holding of Frost Int'l). Their weapons have already appeared on the black market, in the hands of at least two terrorist organizations, and one assassin-for-hire. An assassin with a curious arsenal of freezing weapons, the so-called "Iceassin" is a new menace in the market of hired killers. He appears well-trained in military tactics and martial arts, and complements these skills with ice projectile weapons, and two gauntlets that can generate cold at a touch. Captain Adamant fought and captured the Iceassin during one of his more public assassination attempts, though the killer nearly defeated him. The Iceassin is currently under investigation and in PRIMUS custody, but so far, he remains a very dangerous mystery. When Captain Adamant met the Insighter, he didn't even know who he was talking to. Thanks to the super-spy's advanced hologram tech, Insighter has practically any disguise at his fingertips, as well as the ability to project other holograms for the purposes of distraction. A relative mystery, even in the villain community, the Insighter is a known information broker, and uses his powers of deception and many vision abilities to acquire valuable secrets, which he only trades for other pieces of information. If knowledge is power, Insighter may be very powerful indeed. In the early days of the Soviet Union, where the end of the world was a phone call away, there were many in the party who looked beyond impending doom towards the future. Negaton was a part of that future. When the world had been consumed in nuclear fire, this new hero of the people would lead the way to a glorious rebirth of the communist world state, using his powers to absorb the radiation produced by the inevitable fallout. But the cataclysm never came, and Negaton remained in stasis, even after the Soviet Union fell. Freed by unknowing Red Army rebels, starved for freedom and radiation both, Negaton rages across the planet, seeking an end to his hunger, and the life he was denied. Frank Spektor was once a United States Army Colonel, specializing in psychological operations. He acted as a mentor of sorts during Carter's time at West Point. When an operation in Iraq went awry, and Spektor and his soldiers were left for dead, they faced down a terrible magical force. Left comatose by the disaster, Spektor had gained the power over people's dreams in return. Believing himself chosen for a great revival of his home country, he plotted for years in secret, recruiting and training a personal army via dreams, which he used in the Flag Day Massacre of 2018. He is now awake and at large. Carter is discharged from the United States Army for injuries incurred in the line of duty. Carter does a stay at the Womack Army Medical Center for recovery and physical therapy. Dr. Jasper Helm and Carter Williams meet for the first time at Fort Bragg, NC. Carter visits Millennium City and tours Dr. Helm's facility, the Anvil. Carter volunteers to test Dr. Helm's prototype armor. While wearing the ATHENA armor, Carter prevents an armored truck heist in West Side perpetrated by the Purple Gang. Carter registers with ASPRA and takes the moniker Captain Adamant. Operations with Dr. Jasper Helm and Catherine Alexander begin. Captain Adamant makes his real debut in the first proper version of the ATHENA armor. A patrol leads to a full-fledged firefight between VIPER and ARGENT agents in a West Side construction project, dubbed the "Six Hour Siege" by the media. Captain Adamant responds to bomb-threat in Downtown Millennium City, disarming the bomb with the help of now deceased hero, Fireball. Carter returns to Montana for his grandfather's funeral. The Williams Family Ranch is sold. The ATHENA Mark II is constructed. Captain Adamant escorts former-ARGENT mercenary Ray Faulk, who holds information on the exchange that precipitated the "Six-Hour Siege". With Adamant's help, he reaches UNTIL HQ and survives an ambush by VIPER assassins. Captain Adamant and PRIMUS foil an attempt by Shock & Awe to try and heist a shipment of Iron Guard armor components. A hacker takes control of the Anvil's resident robot intelligence, HAMR, and joyrides through West Side. Captain Adamant halts the rampage, and helps apprehend the hacker. 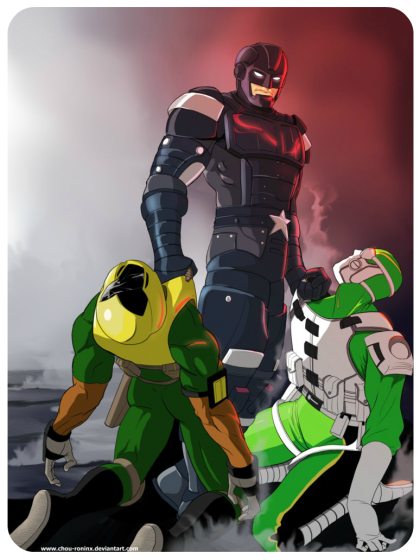 Captain Adamant joins Eternals, Inc.
With the Eternals, Captain Adamant helps subdue a cadre of superpowered children on a rampage in Millennium City. ARGENT attempts to seize the Anvil through a hired team of mercenaries and Captain Adamant works with a captive Dr. Helm and Cat Alexander to oust them before they can steal Helm's secrets. Captain Adamant teams up with Vanity during a visit to Vibora Bay, and the two fend off an attack by vampires who are pursuing an UNTIL agent. Carter visits the Humane Society in City Center, and comes home with Ajax, a well-trained German-Shepherd companion. Captain Adamant is promoted to department head at the Eternals Internal Security and Operational Logistics. His duties revolve around Gold Tower's security and the supplying of Eternals operations. Captain Adamant attends SUMMIT, and presents on the growing international threat of Blackguard. Captain Adamant resigns his post with Eternals, Inc. to return to the front lines of crimefighting. Captain Adamant attends a benefit for the Yazidi people, and Senator Lane Gauthier endorses him publicly as a superhero. Captain Adamant joins the Protectors of the World, for their track record of operations around the globe and UNTIL affiliations. Captain Adamant's first real mission with the Protectors investigates a facility run by HALCYON, an esoteric research organization, off the coast of South Africa. Carter meets Angel Anderson, a.k.a. Imp, at a gathering of newer members of the Protectors. Captain Adamant helps steer a mission to a HALCYON research facility in Antarctica from certain doom, proving himself as a leader to the other Protectors. The villain Campaign attacks while the Protectors are on vacation, invading the island resort with a platoon of soldiers, but the superteam is victorious. Carter and Angel begin dating, after a couple months of flirtatious encounters both on and off duty. Captain Adamant, along with the Protectors, are captured by an alien prison ship and made to engage in gladiatorial combat by the ship's warden. Carter's friend and mentor, Colonel Frank Spektor, takes personal command of operations on Mount Sinjar to liaison with the Yazidi people. Many of the Protectors, including Captain Adamant and Imp, attend the official launch of Wheelman's new superhero support network, COMPASS. The Protectors are assisted by Psion, Noble, and their superpowered daughter Bri, when C-list villains Arborous Rex and Harpy try to pull a heist on a supermarket. Three of the sillier villains in Millennium City, Goomba, High Sticker, and Rubber Band Man get into a destructive dispute in the middle of the Downtown Mall in Millennium City, where a few the Protectors are trying to enjoy a day off. The Protectors are ambushed by Dr. Petroleum at Sherrera's Bar in West Side, and combine forces with the other heroes in the bar to fight him off. Captain Adamant and the Protectors track one of Tesseract's hacktivist comrades, who has gone missing, to Greece. Carter is kidnapped by the villain Lord Darkblood, in an ill-fated attempt to win Imp's heart. The Protectors track a dangerous magical artifact, the God's Eye to a HALCYON member in Japan, but are beaten to it by the villains Gauntlet, Lethal, Ao Guang, and Sparrowhawk's nemesis Cassowary. Carter begins research into the company Frost International, whose cryonic weaponry has proliferated across the globe at an alarming rate. The Protectors engage the VIPER villain Snakehead in Northern Ireland before he can desecrate the grave of Saint Patrick, whose legend states that he banished all the snakes from Ireland. The deployment at Mount Sinjar goes horribly wrong. Dozens die in an attack by ISIL, and Colonel Frank Spektor is returned to the United States in a comatose state. The missions details remain classified. 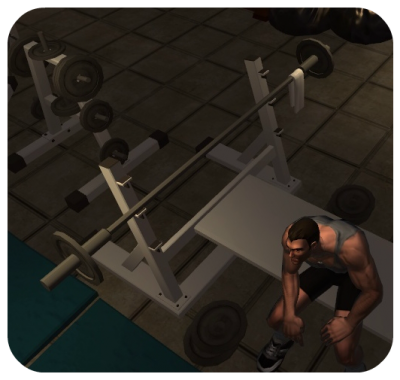 Carter takes over the Protectors' training, and begins a rigorous schedule of simulations and physical conditioning for the team. Frank Spektor is admitted to Advanced Sleep Incorporated in Millennium City to try and ascertain the nature of his illness, heretofore a mystery to specialists at Fort Bragg. The Protectors nearly defeat the sorceress Salei at Gqokli Hill in South Africa, the site of her latest ritual sacrifice. The villain eludes their grasp. Captain Adamant goes toe-to-toe with the supervillain Iceassin, who attempts to seize a hacker's design for a devastating computer virus. Iceassin is defeated and taken into PRIMUS custody. His weaponry shares troubling similarities to the cryonic weapons of Frost Dynamics, a subsidiary of Frost International. Carter and other Protectors suddenly find themselves in a world out of a black and white 1950s sitcom, an illusion crafted by the villain Dominatriea. Captain Adamant and the Protectors receive a foreboding, temporal "message in a bottle" from Peacemaker in the Sahara desert, right before a cyberdemon charges them from a sudden portal. Captain Adamant coordinates the Protectors Operation Blind Knight, as the team thwarts a hostage crisis perpetrated by Greek Nationalists at the British Museum, all while armed with Frost Dynamics weapons. The Protectors counterattack against Salei at Teotihuacan, where she has sealed herself and many of the Progeny inside a magical barrier. The Progeny appear to defeat the sorceress, but a terrible cost. The Protectors Operation Whisper Tide, commanded by Captain Adamant, succeeds in thwarting an attempt by Warmonger and Shadowdragon to start a war in Asia that could result in World War III. Captain Adamant and the Protectors infiltrate a gathering of European VIPER supporters, only for the festivities to be violently interrupted by Europa (formerly Eurostar), who vie against VIPER for control over all of Europe. Captain Adamant officially recruits Atomac into the Protectors after a harrowing field test. Carter, along with the Protectors, joins Taskforce Hospitaller with Initiative Black, to pursue the menace of Kostadin the Black. Captain Adamant battles the villain Insighter at UNTIL HQ in Millennium City, as the super spy seizes classified documents on the supervillain Warlord. Captain Adamant serves in the Siege of Pittsburgh, where an army of undead horrors attacks the city by command of Kostadin the Black. Only with the combined might of the Protectors, Initiative Black, and the Army National Guard do they succeed in saving the city. Carter's friend, Imani Abbot (Tesseract) returns from an apparent death to warn the Protectors about her chronokinetic nemesis, Rift. Captain Adamant and the Protectors track Rift to an abandoned HALCYON facility in Iceland. There, he has constructed a PORTAL, which takes him, and the team to a future where the Protectors no longer exist. The Cult of Adranus attacks Millennium City, and almost burns it to the ground. 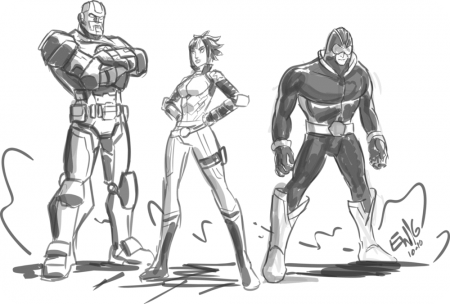 Captain Adamant, the Protectors, and all manner of other heroes join forces to stop them. Colonel Frank Spektor disappears, after an apparent kidnapping attempt by anonymous soldiers at Advanced Sleep Incorporated, and an attack by inhuman creatures that can take the form of a person's nightmares. Under strain of the search for Colonel Spektor and his other duties, Carter ends his relationship of two years with Angel Anderson, a.k.a. Imp. Captain Adamant and Tesseract delve into the mystery behind the attack at ASI. Tesseract uncovers the actors behind OPERATION Mountain King, most notably Michigan Senator Lane Gauthier. A sleepwalking epidemic grips the United States. Sleeping veterans or relatives of veterans converge on military installations, government buildings, memorials, and cemeteries, in a demonstration of sorts, many bearing symbols of the American flag upside down. Later, Captain Adamant discovers some of these sleepwalkers visited ASI, linking this Sleepers' March to the disappearance of Frank Spektor. A group of Protectors tracks one of the ASI attackers' family to rural Louisiana. They discover them living off the land, hiding behind traps, with stockpiled weapons and food. They say Bill Hazelwood, the apparent leader of the ASI attack, was visited and trained by a mysterious man in his dreams, who believed a catastrophe was coming. The Protectors follow a lead in the Sleepers' March investigation to New Mexico, where they find the villain Dreamwitch running from the same night terrors they found at ASI. Dreamwitch later cooperates with Captain Adamant and his allies and tells them that someone is "building" dreams in the "Dreamzone" for purposes unknown. Carter and a handful of Protectors infiltrate a private party thrown by Senator Lane Gauthier, and learn that he's even more closely related to events concerning the Sleepers' March than they knew: he was visited by sleepwalkers the night of the March, and didn't report it. He also seeks an artifact called the Dzakarian Stone, which seems to have been his reason for being involved in Operation Mountain King. Carter gathers telepaths and mystics to enter the dreams of a comatose William Hazelwood, and find the ex-Marine in hiding, having, somehow, deliberately caused his coma and taken refuge in a dreamstate. The Protectors pull him out of it. Captain Adamant and other Protectors interrogate Hazelwood and learn little, save that he was wrongfully accused and discharged from the Marines, which put his family in dire straits due to lack of benefits. Captain Adamant, with Thundrax's approval, dispatches several of the Protectors to directly hunt down leads in the case of Senator Gauthier's corruption, the Sleepers' March, and Frank Spektor's disappearance, convinced they're all related. Captain Adamant, after wrangling Dreamwitch's cooperation again, follows her lead to Mount Sinjar, where they find the Yazidis recuperating from genocide. They also find a small piece of stone that seems to be drawing sleepwalkers and ghosts alike, and bring the shard back to the Barlowe for study. With minimal sleep and the spector of increasingly vivid nightmares, Captain Adamant enacts OPERATION Secutor, and dispatches individual Protectors specifically to track down leads on the Sleepers' March, Senator Gauthier, and Frank Spektor. Carter is found comatose after a synchronized terrorist attack at three nuclear reactors that results in almost three dozen men and women killed, and a massive blackout that engulfs the American Northeast and parts of Canada. At the same time, almost a dozen separate execution-style killings are conducted against alleged members of DEMON and VIPER across the country. Senator Lane Gauthier is assassinated in his own home and later discovered to be a member of DEMON. The news reports this as the "Flag Day Blackout" or the "Flag Day Massacres". After two months of being gripped by nightmares of Colonel Spektor's making, Carter Williams awakens. / / Every Scar Has a Story Most of Carter's extensive blast scars are kept out of sight, beneath his clothing. He doesn't go out of his way to hide them, but is generally unwilling to linger on them as a topic of conversation. If the context is appropriate, however, Carter will tell the story if asked about it. / / Hunk Carter's heritage and monumental exercise regimen have molded him into an ideal male specimen. Tall, muscled, and square-jawed, the Unbreakable Man looks the part, inside and out of the armor. / / Perma Shave A holdover from his military days, Carter always keeps himself clean shaven, with a neat, high-and-tight haircut to match. / / Being Personal Isn't Professional While in field, Captain Adamant is focused on one of two things: the mission, or the team. Even without command responsibility, Carter still holds himself to a rigid standard of avoiding banter, small talk, or personal issues while on duty. 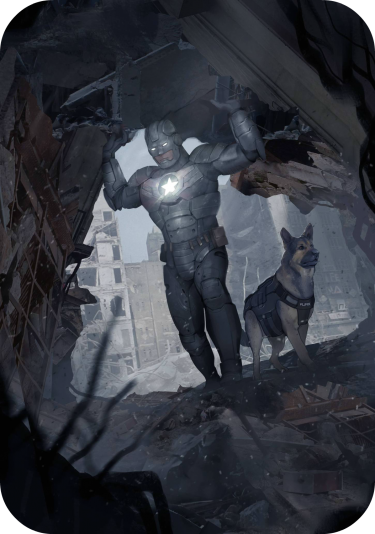 While off-duty and free of the armor, Carter can be quite pleasant and sociable, though he is ready to snap back to a professional tone at a moment's notice. / / Creature of Habit From his days on the family ranch, to his tutelage at West Point, and into his Army service, routine has consistently defined and accompanied his success. No plan is perfect, but in the words of Benjamin Franklin: "If you fail to plan, you are planning to fail." / / Nerves of Steel Under pressure, Carter only gets more robust. Since he was young, he was rarely one to buckle. Some think him cold blooded for possessing this attribute, but those that know him understand that, in this case, Williams simply has the right stuff. There's more than one reason he's earned the name "Unbreakable". / / The American Dream Carter believes that perseverance, sacrifice, and responsibility are the keys to unlocking this lofty concept for each American, and the country as a whole. It was this belief that originally galvanized Carter to join the military. / / I'm Not a Hero, I'm... No matter how many medals on his uniform, no matter how many lives he saves, Captain Adamant does not see himself as a hero, and is quick to remind those who label him thus. He's only doing his job. / / My Country, Right or Wrong Captain Adamant considers himself loyal to the United States as an institution first, and a government second. However, this line can be a blurry one. Williams navigates this troublesome divide by remaining loyal above all, and questioning or protesting second. / / Fights Like a Normal Captain Adamant isn't fond of abusing his strength. Rather, he uses it to augment his considerable hand-to-hand combat training. Though slower in the ATHENA, close-quarters combat for Adamant is a disciplined, effective means of neutralizing enemies, even those who may be stronger than him. / / Super Strength Captain Adamant's strength is the stuff of legend, though in reality, there are plenty of superheroes (and villains) who sport a higher lift threshold. His application of his impressive strength is what sets him apart. / / Super Toughness Allies and enemies both have witnessed the Unbreakable Man shrug off explosives, armor-piercing bullets, and high-voltage electricity. The ATHENA was designed with durability in mind, and Dr. Helm's invention delivers. "boots on the ground" - Describes those who are active and present during a situation. "go"/"go ahead" - Carter often answers his phone or radio this way. "sandbagging" - Slang for intentionally inefficient or lazy performance. "smoked" - Punishment of minor offenses with excessive physical training. "snake eater" - Slang for Special Forces. Carter sometimes applies it to certain teams or task forces of superheroes. "stay frosty" - Means "stay calm and alert". "take a knee" - Euphemism for "pause" or "rest". / / Does Not Know His Own Strength One drawback to the ATHENA’s strength and thick armor is a lack of fine motor control, and a powerful, metal grip with very little margin for error. Though other tasks are higher on the list, Carter makes a point to try and refine his ability to type on a keyboard, write, or drink from a glass while wearing the armor. / / Career-ending Injury Carter Williams' days as a soldier ended when a rocket-propelled grenade detonated only a few meters from him. His injuries plague his right half with sporadic pain, stiff joints, tremors, numbness, and ringing in the ear. His body wasn't the only thing damaged that day; Carter was certain he had found his calling. Now he tries to use his afflictions as fuel for improvement, working daily to overcome his new limitations. / / Rancher Carter grew up in Livingston, Montana, on his family's cattle ranch. His young life was marked by hard work and responsibility. He once intended, as his father had, to take over the business when his father retired, but the September 11th attacks spurred Carter onto another path. The ranch has since been sold, albeit reluctantly. The Williams Ranch was one of the last in the area to do so. / / Upbringing Makes the Hero - Carter's father and mother instilled in him the virtues of hard work and responsibility. His attendance of the United States Military Academy at West Point broadened his horizons. Serving in the Army taught Carter the real nature of sacrifice. These formative experiences prepared Williams for an impressive, and even influential career as a superhero. / / A Father To His Men Despite his no-nonsense approach, Carter cares deeply for those under his command, taking personal responsibility for their well-being and morale. He would die for his comrades. / / Captain Patriotic Carter's love of the United States is a love that stretches back to his childhood. His youth in Montana was somewhat idyllic: snow-capped mountains, verdant green valleys, and rolling pastures surrounded the young boy at all times. Carter had always been fascinated by his nation's history, learning much of it from his grandfather. Independence Day was always Carter's favorite holiday, and still is. Beneath the serious exterior, there's an exuberant patriot, who will do anything to ensure others can enjoy the prosperity he did. / / Challenge Seeker Carter possesses an almost compulsive need to test himself and take on challenges, whether they be mental or physical. He is avid in his pursuit of fitness, especially given that his injuries make rigorous exercise difficult. He enjoys strategic and tactical drills, and pursues research with unfettered attention. Working long hours has been a fact of life since Carter was a child. It's getting the Unbreakable Man to relax that's difficult. / / Home Base - Dr. Helm's laboratory and forge, dubbed the Anvil, is a modest, but remarkable place. Much of the work and testing that goes into the ATHENA takes place here, as does the actual forging and assembly of its Adamant armor plating. The Anvil is also the command center for Captain Adamant's missions, though an expansion or relocation may be necessary. / / Powered Armor The Advanced Threat Encounter Apparatus, or ATHENA, is Dr. Helm's single greatest achievement. 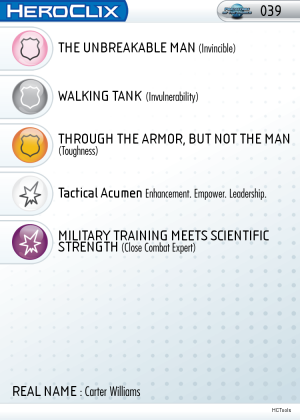 Its design is unique among powered armors, in that it eschews advanced software and weaponry for sheer durability and reliability. The armor is what enables Captain Adamant to exist. 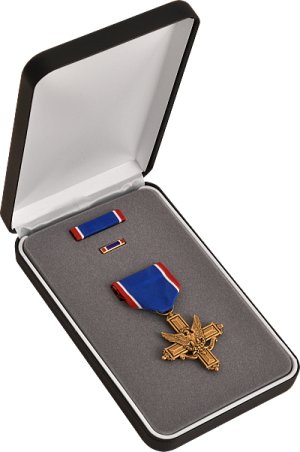 / / Real Award, Fictional Character Carter possesses several medals for his service. He has been awarded a Purple Heart, and a Distinguished Service Cross, an accolade second only to the Congressional Medal of Honor. / / Military Superhero Captain Adamant does not see his path as that of an adventure, nor is it some lofty moral exercise. It is simply his duty, which he enacts on every day to the letter, without complaint. The job is difficult, but it is just that: a job, and a very important one. / / Workaholic When long hours or grueling labor are in store, Carter isn't one to shirk his duties. He embraces his work, perhaps to a fault. His constant need to test himself and fulfill his duties leads to taking on one task after another, with little regard for creature comforts. / / Broken Pedestal Frank Spektor was once a source of guidance and friendship in Carter's younger days. The former Army Colonel's recent turn to villainy has left scars that run deeper than any explosion could. Carter wants to reach out and help Spektor, but realizes the improbability of redemption. He is preparing for the day he will have to take Colonel Spektor down - or die trying. / / Loyal Animal Companion Ajax and Carter are kindred spirits: well disciplined and unfettered in the pursuit of their duties. The dog follows and protects Carter (and his allies) wherever he goes. A more faithful and effective sidekick could not be asked for. / / Career Military Carter’s tutelage at the United States Military Academy and his service in the US Army has allowed him to cross paths with an extensive and diverse category of people. He simply cannot recall them all. 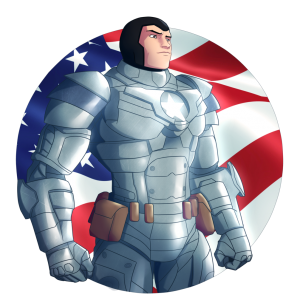 / / United We Stand Captain Adamant is a staunch enemy of the villainous organizations ARGENT, VIPER, and the Warlord. He is more than willing to combine forces against them, provided the intel is good. / / A Tank's Best Friend In privacy, Carter will often speak unfiltered and at length with his dog, Ajax. If eavesdropped or recorded, one could learn all manner of things about the Unbreakable Man. / / Army Strong Every weekday morning, usually just before dawn, Carter may be seen running or rucking somewhere in Millennium City. 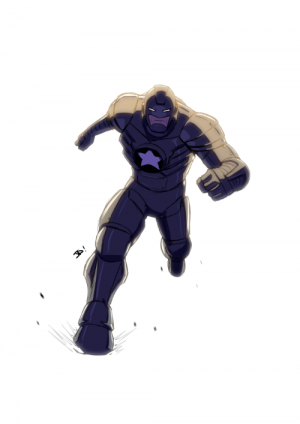 Captain Adamant was department head of Eternals Incorporated Internal Security and Operational Logistics, and was responsible for the safety and security of Eternals Tower while he was a member. During his time with Eternals Incorporated, Captain Adamant was slated to appear in a television recruiting ad for the United States Army. It never aired. Carter played football at West Point, and was something of a star halfback during his career. Every December, he makes time for the traditional game between the Army Black Knights and the Navy Midshipmen. Carter likes his coffee black, and his rye served neat. Carter is a great fan of Texas Hold ‘Em poker and pinochle. During his recovery, Carter decided to remain right-handed, even though his nerve damage frequently impedes his penmanship. Carter is an excellent boxer. Though he still engages in the exercise, swimming is difficult for Carter. Not only do his injuries make it troublesome, but his Body Mass Index and bone density cause him to sink in water, rather than float. Carter has a weakness for Coca-Cola, especially from a glass bottle. Carter’s exercise regimen is inspired by the Army Special Forces workout, though it isn’t limited to such. Daily, he does one-hundred pull-ups, push-ups, and sit-ups, and a five mile run. Two or three times a week, he swims one-thousand meters. Carter sports a single tattoo, on his left upper arm, depicting a red bison on a black shield. Above this shield are the words Operation Enduring Freedom 2008-2013. Beneath it are Veritas et Virtus and 17th Regiment, 2nd Battalion. Tai Chi is part of Carter’s morning routine. It does wonders for his injuries. Carter's favorite presidents are Theodore Roosevelt, Abraham Lincoln, and Dwight D. Eisenhower, in that order. In a feature film, Daniel Cudmore would portray the Unbreakable Man. Michael T. Weiss would voice the animated version of the character. 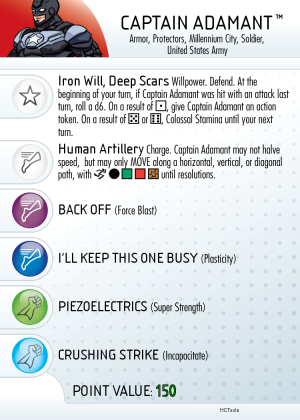 Captain Adamant has his own Heroclix Figure! OK, not really, but I'm in the process of filling out cards and dials for the Protectors and the Progeny! Captain Adamant & Ajax by VincentiusMatthew! This page was last modified on 5 February 2019, at 11:01. This page has been accessed 405,588 times.